Last week called for a change in habitat. 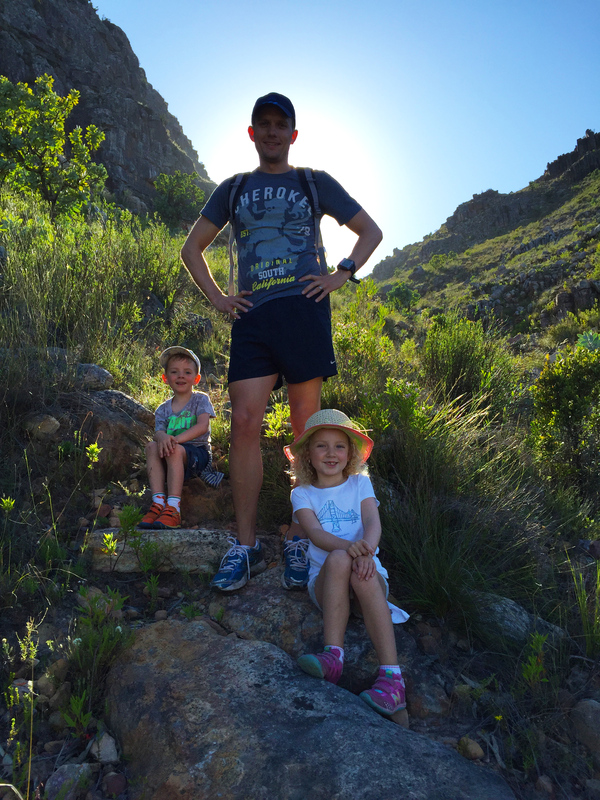 After our great experiences on Airbnb, Shaun and I decided we would rent out our home to families looking for a more “homely” experience when visiting Cape Town. If people want to stay in our house and the timeframe suits us, we pack our bags and out we go. 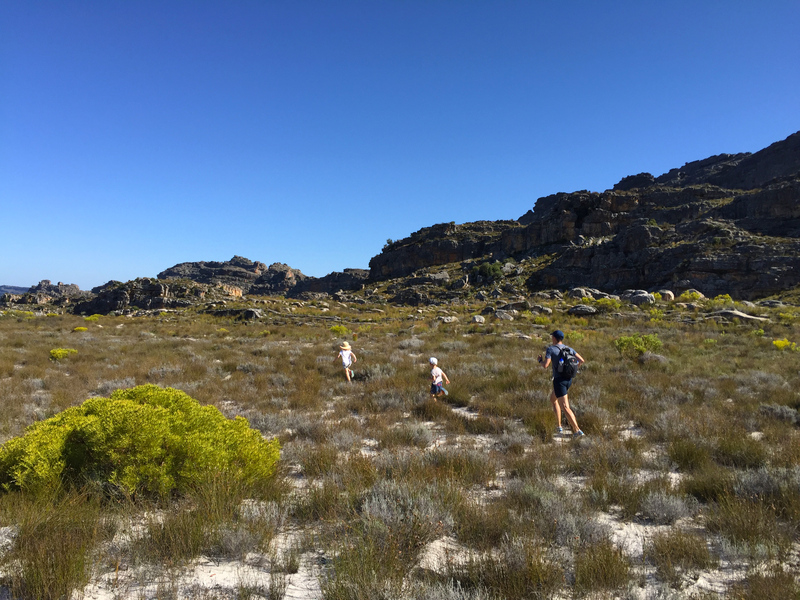 So last week we found ourselves residing in the Cederberg. It hardly felt like we’d been booted out our home. The location couldn’t have been more perfect, the views more beautiful and the sounds more peaceful. It was a little piece of heaven. 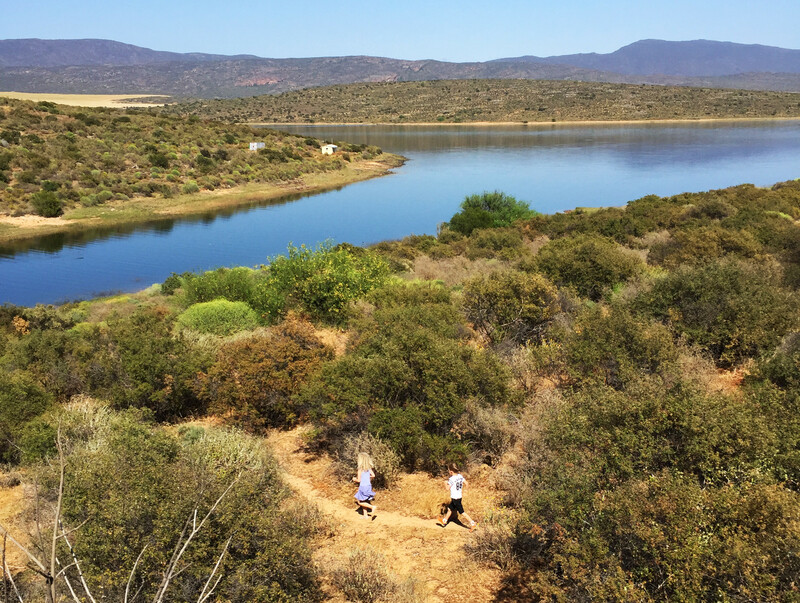 We were overlooking the Clanwilliam dam, and had the Cederberg Mountains against our backs. You could hardly find a better playground. 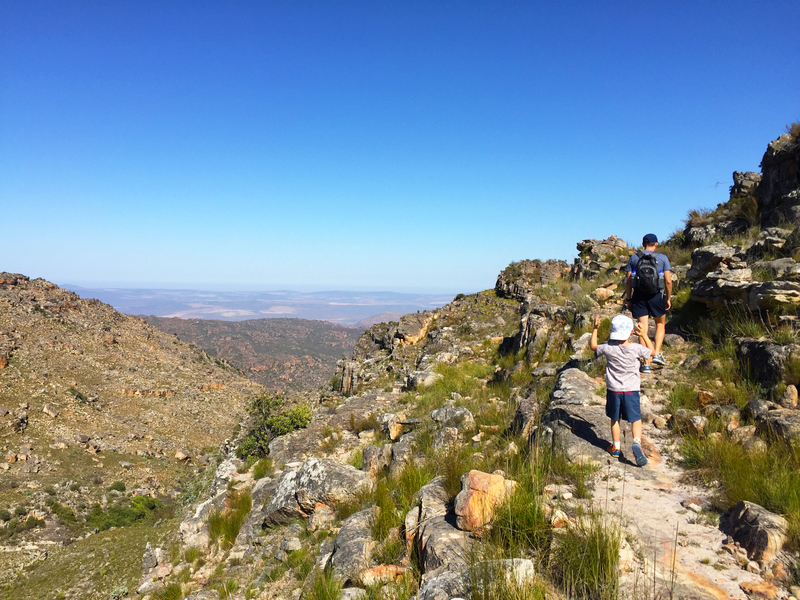 As is customary in our adventuring, Shaun had to bring the old workbook along; cramming in a good 8-hour day amongst our dam swims, walks, and hikes in the mountains. The fact that the temperatures were reaching the mid thirties worked in his favour because we had to spend midday indoors with the air-con humming on full capacity to escape the heat. 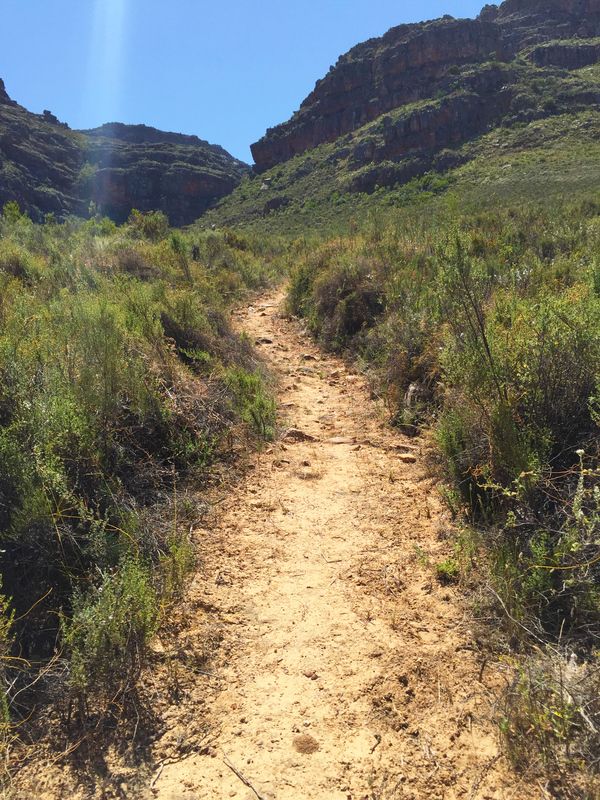 The temperature however, did little to deter us from undertaking the 12.5km Kliphuis hike along the Pakhuis Pass in the Cederberg. 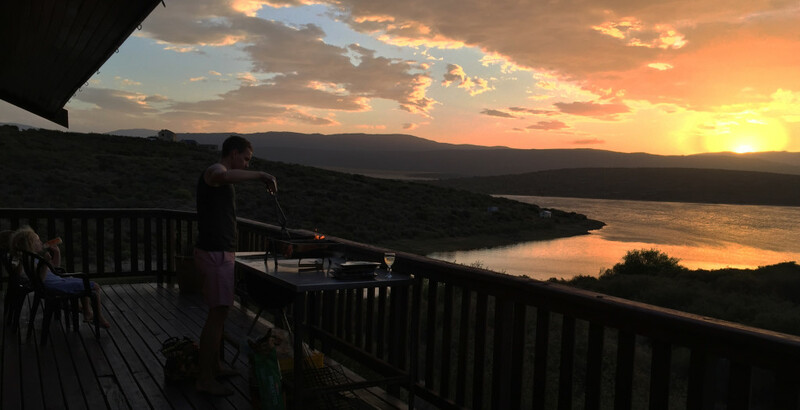 Anticipating the heat, we woke at the crack of dawn, poured food down our gullets, applied a full body suit of sunblock, and hit the road. 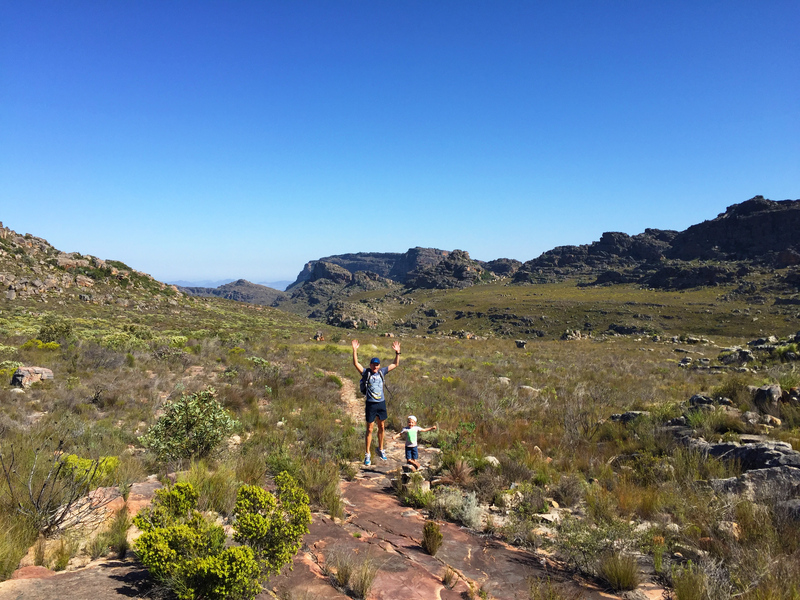 The Cederberg offers views and solitude in a way you can’t refuse it. You breathe it in, you soak in the views and you revel in its stillness. The incredible rock formations can keep you mesmerised for hours. We hadn’t planned on walking the whole route but found ourselves unable to turn down the opportunity of a full morning, alone, in paradise. The kids were troopers. I say this with the utmost gratitude, and respect for their endurance. They put up with some crazy ideas their parents have. They walked almost the entire way on their own little legs. Running over the flat sandy patches on top of the mountain so we could make up time. Braving a walk head on with baboons because it was the only way past them. Learning to track leopard footprints in the sand despite the sweltering heat, and constantly being schooled on where it is safe to take drinking water from. These kids put up with a lot. 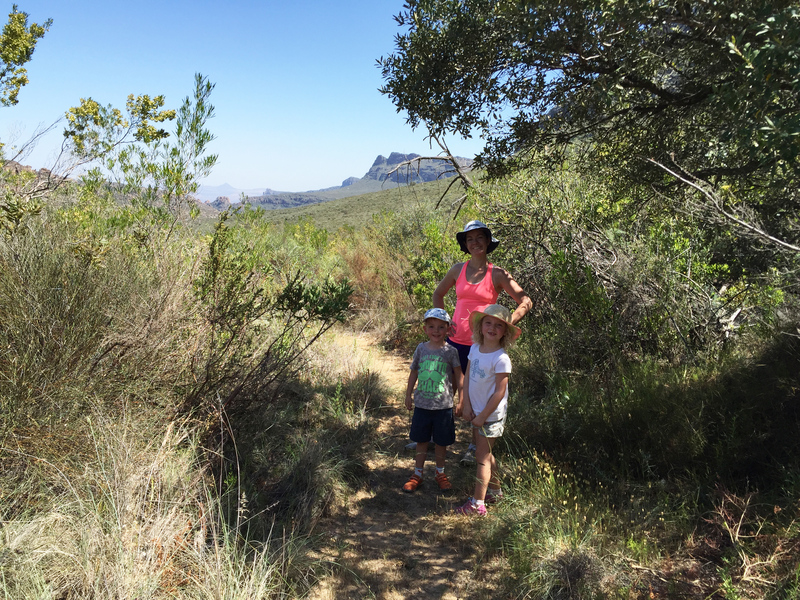 At midday, after 4 hours of hiking, when the mercury was reaching a balmy 35 degrees, we reached the end. If our car didn’t have air-con we would heave melted into a puddle. After returning to our cabin, we decided a swim was in order. 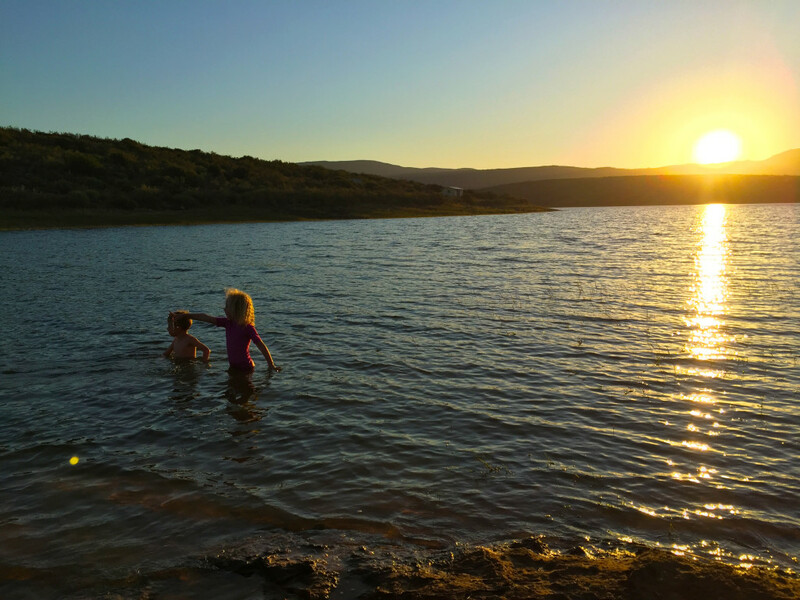 In an attempt to entertain the kids while Shaun and I endeavoured to get some work done, we would let them run down to the dam to build their rock castles and throw stones in the water. On this particular afternoon, we were heading down for a swim, so I was with them, well, a few precious minutes behind. The children ran ahead while I packed a picnic, and when I got there I found them standing 5 meters from the dam, waiting rather stoically for me to arrive. 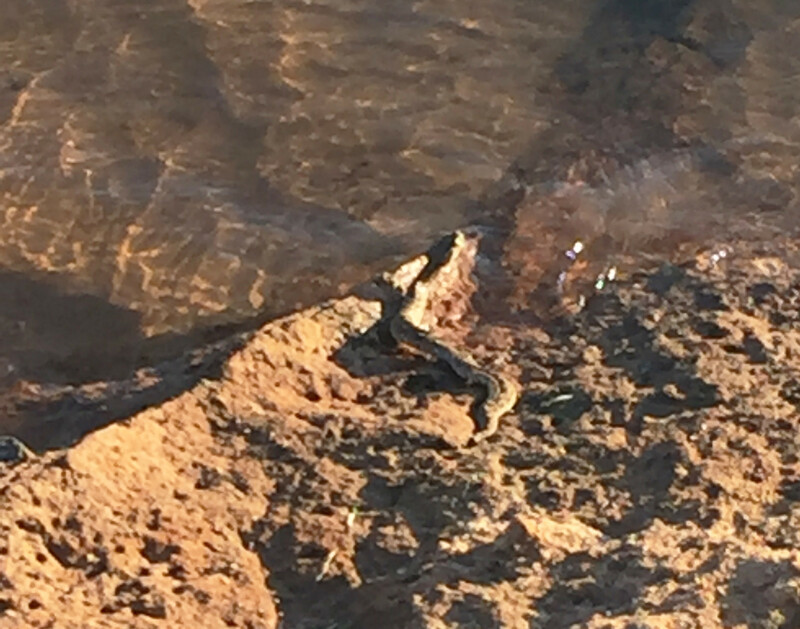 In a very matter of fact manner they informed me they had found a puff adder at the water. Now my snake knowledge is minimal, my tendency to overreact is also pretty minimal, so I decided it must be a little mole snake. 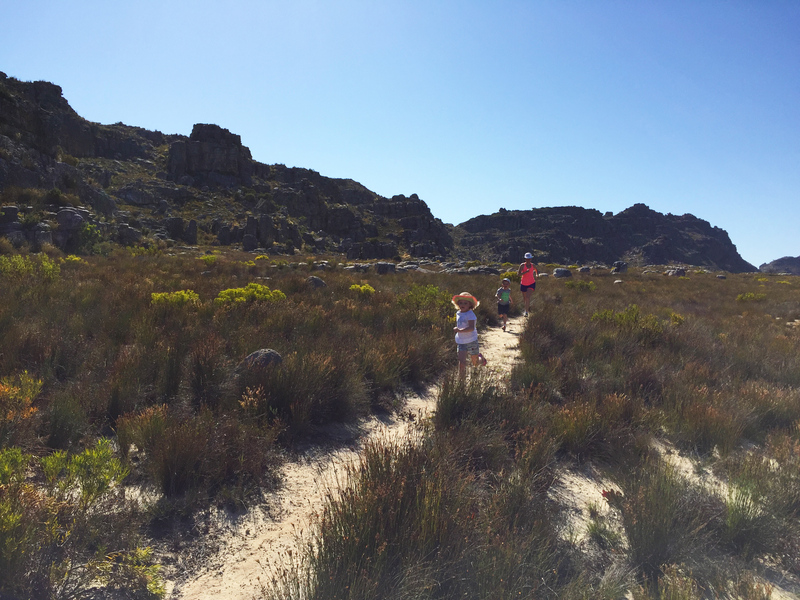 I patted them calmly while getting them to show me where this ‘puff adder’ was. It was so incredibly camouflaged that it took me a good half a minute to see it! At that point I knew it wasn’t a mole snake, its marking were far too beautiful, but I still couldn’t say what it was. So we called in the naturalist, aka. Dad, who arrived at a rate of knots with eyes sticking out on stalks. It was definitely a ‘puffy’ (Lola’s later affectionate name for it), and as we gawked, while simultaneously marvelling at Lola and Lincoln’s incredible observation skills, the tubby puffy slid into the water and swam away! It came as more than a surprise to us all, but not enough to put us off swimming in that heat, we just did it with our eyes peeled. Saying there is an abundance of wildlife in this corner of the world clearly goes without saying. The area is largely uninhabited, and development hasn’t boomed like other ‘dam’ towns, leaving bird life and wild animals roaming about freely. We had a pair of herons gliding about using our corner of the damn as their runway, and we shared our still mornings with a plethora of bird song. The mongooses, bush rabbits and buck all bound around gleefully, and they were just the obvious ones. 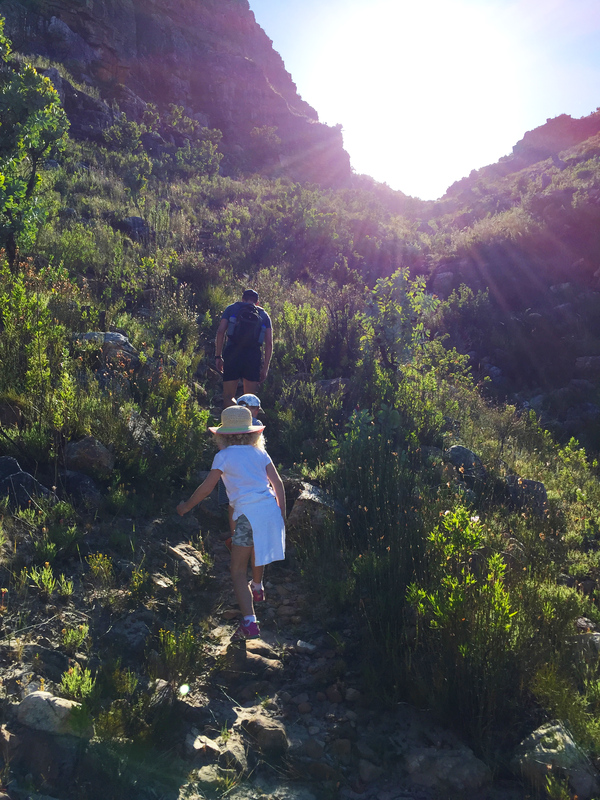 It was a really special place to let our children partake in nature. 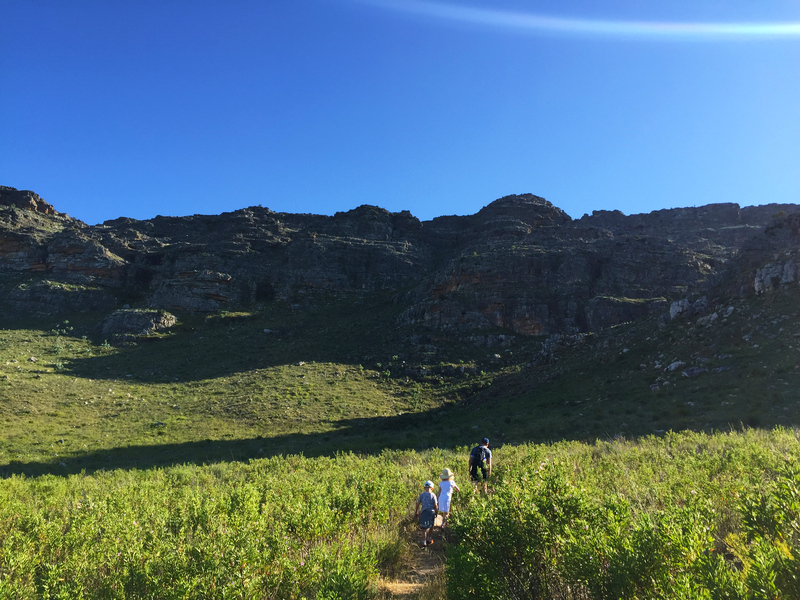 To be somewhere so unspoiled, and have it be in Cape Town’s backyard, is a real treat. To be able to sneak away in the middle of term, and have the good fortune of being able to simply take our work along with us, must make us some of the luckiest people around. Always striving for a life less ordinary, always looking for balance, it’s weeks like this where I think sometimes we do get it right.